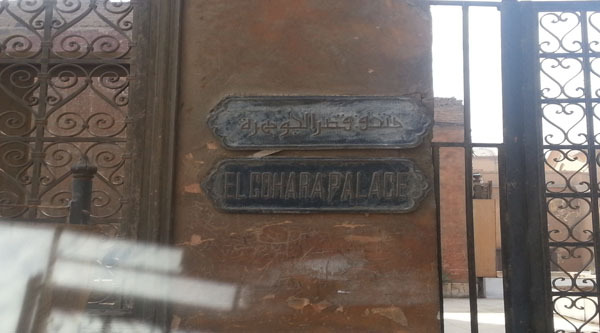 El-Gawhara palace is overlooking the heart of medieval Cairo, the Mokkatam hills and the desert. It was built in 1814 just south of Mohammed Ali’s great mosque. 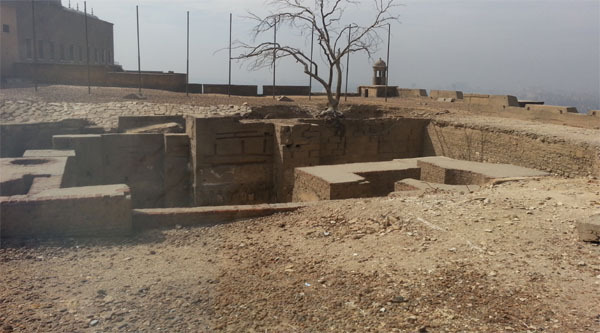 The remains of Mamluk structures dating to Qaytbay (1468-1496) and al-Ghuri (1501-1516) were leveled to prepare the site. This palace is an important example of the best early 19th century rococo decorations in Egypt. Here the 2 more important elements of Turkish palace were incorporated: the salamlek or part of the palace used for public audience, which only men could enter and the haramlek or private quarters, including the harem which only the family, private attendants, eunuchs and chambermaids could enter. All these were combined into one rambling structure. And “windcatchers” naturally air-conditioned its many rooms pleasantly on the most scorching day. The Gawhara Palace (Qasr al-Jawhara, also known as the Bijou Palace, but popularly referred to as The Jewel Palace), is located near the front of the main door of the Mosque of Mohamed Ali . 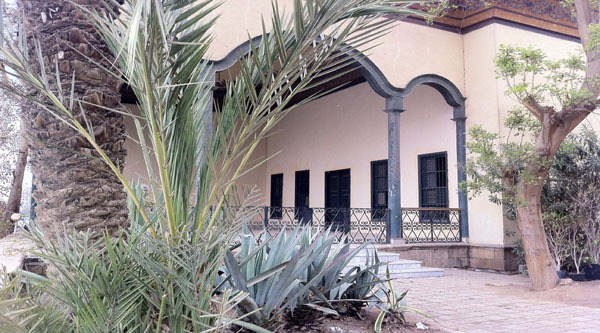 The Palace was built by Mohamed Ali Pasha in 1814 to house his administration and to receive guests and as a personal residence. Mohammed Ali received visitors and petitioners in the throne room. His throne has carved and gilded back and arms but no legs, as it was pasha’s custom to sit on cushions on the floor in the traditional manner. 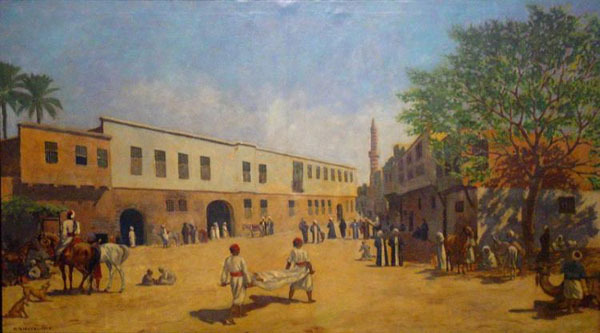 When the Ottoman sultan Abdel-Aziz visited Egypt in 1852, he was received in this palace, where he stayed for a week. 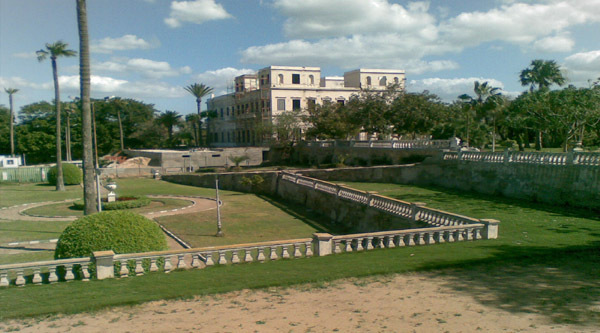 The palace was named after Gawhara Hanem the last of Mohamed Ali's wives. The palace was designed and constructed by artisans contracted from a variety of countries, including Greeks, Turks, Bulgarians and Albanians. Most of the rooms of the palace were ornamented with gold decorations and the ceilings had floral designs and oval cartouches with Italianate countryside scenes painted in them at edges. The walls and floor of the bathroom were of alabaster, and water from the Nile which reached the Citadel by means of the aqueduct of Salah el-Din was pumped up to the palace level with a steam engine. A special room was set aside to keep the kiswah or covering of the Ka’aba in Mecca, which used to be renewed annually by Egypt. Pieces of the old kiswah were given as special present. In 1822, a fire destroyed the palace's wooden construction in a blaze that lasted for 2 days. Later, Mohamed Ali had the structure expanded and elaborated upon with the construction of a large marble fountain, columned stone terraces and porticoes, parterres of flower beds and orange groves, and even a menagerie containing a lion, two tigers and an elephant, which were a gift of the British Lord Hastings . Two years later, in 1824, fire damaged again the palace after explosions of gunpowder. Mohamed Ali imported large slabs of marble from Italy to build a vestibule, staircase and corridors. The palace was constructed as a two-storey pavilion in the style of a Turkish kushk. It has Western style windows which were often topped with an oval oeil-de-boeuf. The French architect and engineer Pascal Coste was employed to add the residential quarters for the palace servants and functionaries. On one side of the palace was a haush (courtyard) and on the other, were views of the pyramids and the Nile. 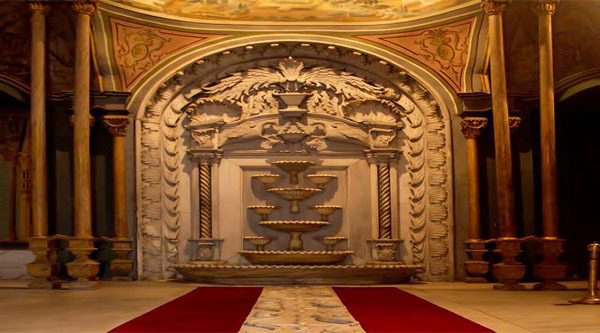 The ornamental program of El-Gawhara palace borrows heavily from European models. As a result of these influences from Occident the Ottoman Architecture, it displays some new decorations elements like Corinthian column heads, recesses and overhangs surfaces, refractions, floral motifs, gilding as baroque and rococo decorations. Generally, landscapes, urban scene, mosques, the city’s major buildings, Bosphorus, a lot of towers were the main wall-paintings objects. Wall-paintings, resumed in Turkish Architecture, miniature and hand carved decorations were together used in interior decorations. 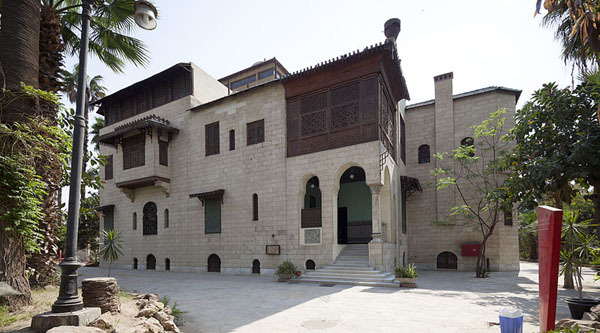 The Kasr (Qasr) El-Gawhara or Jewel Palace, originally Mohammad Ali Pasha's headquarters, was once opened to the public as an example of the best early 19th century Ottoman decoration and architecture. The name has often led people to think that it housed jewels. An attempted theft in 1972 resulted in a fire that practically gutted the building. The entrance once held an enormous gilt and marble mirror. Upstairs you could find the enormous gilt throne which was a present from the King of Italy. Family portraits adorned the walls, chandeliers hang from the ceilings and marble staircases were winged by flying angels. 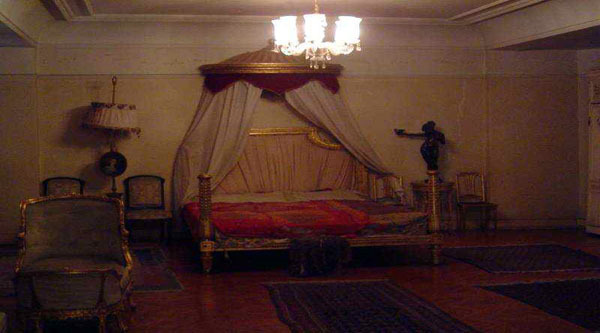 The Royal bedroom indicated that the Aiy must have been a little on the short side. 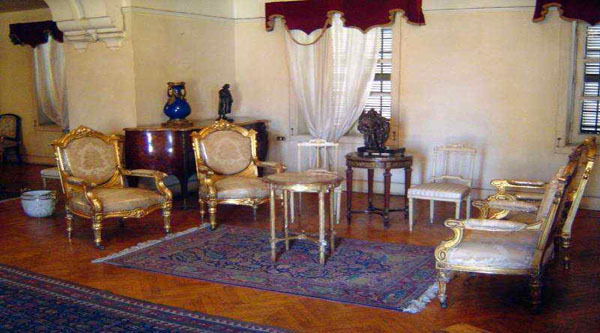 The restored 19th century Ottoman rooms contained royal portraits, paintings, costumes and furnishings of the period. There were few jewels on display here. 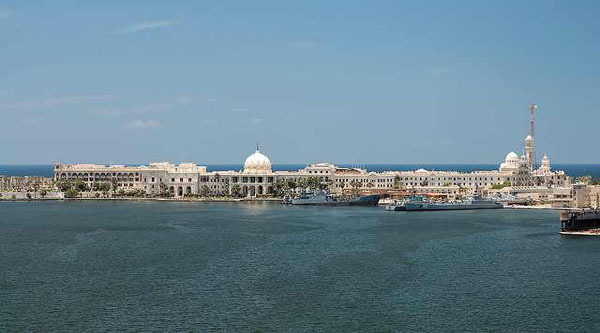 The name actually derived from the fact that it was used as a museum for the jewels of the Khedives after the 1952 revolution. In a room adjoining the audience hall you could once see the kousha or marriage kiosk used in the weddings of king Fuad and queen Farida.